Dr. Jennifer Aumer is a 1998 graduate of the University of Minnesota College of Veterinary Medicine. After graduation, she worked for a mixed animal practice in East Central Minnesota until 2002 and then moved to a mixed animal practice in Central Minnesota. In 2004, taking her passion for the health and wellness of the horse, she decided it was time to “come home” and open her own equine practice. Dr. Aumer grew up in Forest Lake, MN and has spent her entire life around horses, showing in WSCA, high school rodeo, and college rodeo. 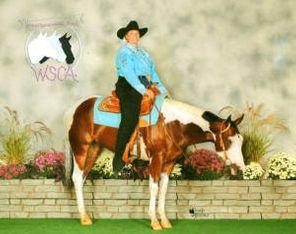 She now enjoys being the groom for her daughter at WSCA shows in the summer. In addition to her husband Jim and daughter Mikayla, the other members of the ‘family’ include four horses, “Hank”, “Pearl”, "Chet" and "Bandit", and a welsh pony named "Marlene”. “Oreo” the cat and “Cuddles” the dog, who you may see riding around with her from time to time.